Welcome to Langdons newest and brightest subdivision "Hanson Lane". 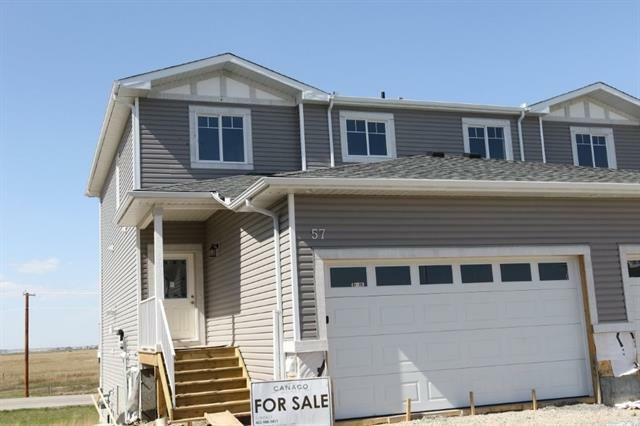 The "Hawthorn" which features a 3 bedroom 1638sq/ft two storey with walk-out basement. 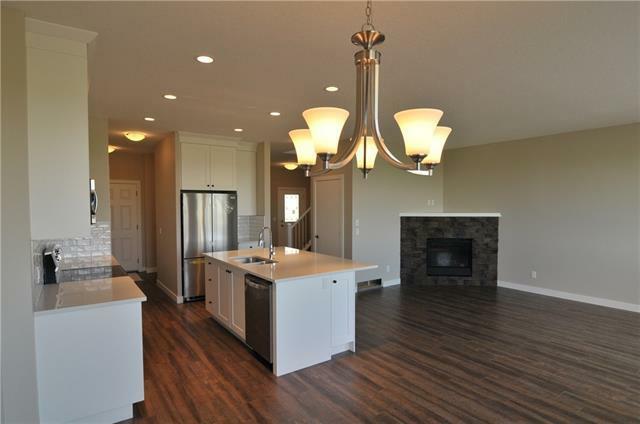 Huge master with 5 piece ensuite and walk in closet. Upstairs find a 4 piece bathroom and 2 more generously sized bedrooms. The main floor features an open concept design with the kitchen, dining area and great room all flowing together with 9ft ceilings. 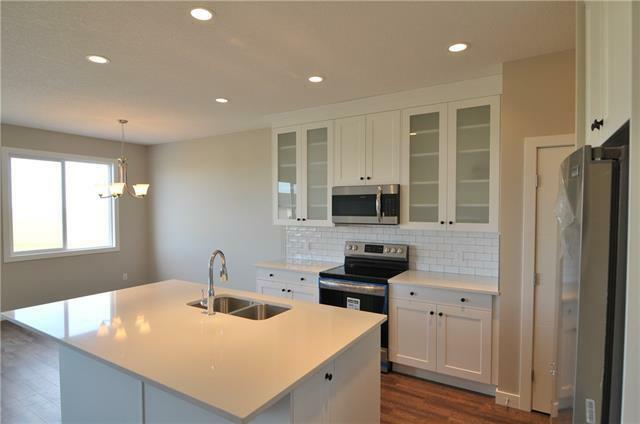 Light colored kitchen cabinetry with plenty of cupboard space, granite counter tops, upgraded stainless steel appliances, and natural gas fireplace. 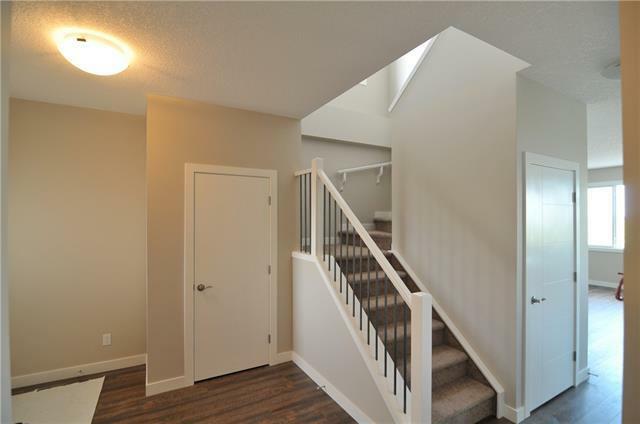 Ceramic tile flooring in bathrooms, hardwood vinyl on main, and wall to wall carpet on upper level. Double insulated and drywalled on the party wall for extra sound proofing. Massive pie shaped yard (.173acre) facing north with no neighbors behind. Added bonus it comes fully fenced around the perimeter. Only two remaining Canaco built units on the entire block.